Two narratives have emerged since the release of the redacted version of the Mueller report. One is fiction, that Trump was fully exonerated by it. AG William Barr did what he could to support the distortion, saying there's no there there, releasing a 4 page summary of the 448 page report, then, when pressured, putting out a redacted version of it. Democrats were on him like a hive of angry super-bees. But in the first few days there was a lot of focus on this exoneration narrative, even by liberal media, with many saying there was no countering it and that Democrats would shoot themselves in the foot to pursue it. There were reports that some Democrats are afraid it will make a martyr of Trump and give him such a boost that he wins in 2020. They suggested that it would be better to focus on the election and getting rid of Trump in that way. He, of course, has marched around waving at crowds, shooting his mouth off. Seemingly triumphant. Hysteria patently visible just below the surface. The other narrative, supported by facts, is that the Mueller report, far from exonerating the president, provides a launch for impeachment proceedings and possible criminal indictment because, while collusion doesn't have a legal definition and isn't a federal crime, obstruction of justice does and is. Among many others, NYT, The Guardian, Vox have covered this and exposed Trump's real vulnerability. Now Democrat Representative Jerry Nadler (NY), chairman of the House Judiciary Committee, has issued a subpoena for the unredacted report and its accompanying evidence to be submitted by 1 May, with a pledge to hold "major hearings". Speaker Nancy Pelosi has indeed been wary of jumping the gun unless there's bi-partisan support for impeachment in the House and Senate. But, she isn't saying it won't happen. She's just being very measured in her response, making sure that all bases are covered. She's a great strategist and has never taken her foot off the pressure pedal. Her Communications Director and Senior Adviser Ashley Etienne said "as the Speaker has said repeatedly, one step at a time." House Committee Oversight Chairman Democratic Rep Elijah Cummings echoed that (see tweet above). However, Senator Elizabeth Warren has publicly called for impeachment. "To ignore a President’s repeated efforts to obstruct an investigation into his own disloyal behavior would inflict great and lasting damage on this country, and it would suggest that both the current and future Presidents would be free to abuse their power in similar ways. " Charles Blow argues for impeachment in his NYT column, writing, "An impeachment vote in the House has, to this point, been the strongest rebuke America is willing to give a president. I can think of no president who has earned this rebuke more than the current one. And, once a president is impeached, he is forever marked. It is a chastisement unto itself. It is the People’s House making a stand for its people." It is a fundamental moral issue, but ultimately, impeachment by the House could also be good strategy. It might give Trump a boost, but it will put a nuclear rocket under and unite Democratic voters who are phenomenally frustrated and have been crying out for action against this corrupt president ever since he was elected. Also, it will put the Senate in the same position the House is in now. If they refuse to indict, Democratic voters will be incandescent. Either way, Trump loses. Walking on eggshells around a bully never works. It gives them power. You can't back down from a fight for what's right out of fear that justice won't be found. It's a mistake to think that Nancy Pelosi and those like her are doing that or that they're cowards. They're not. They're girding their loins. It doesn't hurt Democrats overall that they're not united; in fact the two positions reinforce each other. And for all his insistence that he's been cleared, Trump is terrified, ranting and scapegoating on Twitter, truth be damned as always. He's on the run. Democrats are keeping it that way. They're circling him. Closing in on him. From every direction. 'The Mueller report lays out facts showing that a hostile foreign government attacked our 2016 election to help Donald Trump and Donald Trump welcomed that help. Once elected, Donald Trump obstructed the investigation into that attack. In the West, there was a time when Classy was synonymous with class distinction. It was all about lineage, sophisticated social skills, the kind of wealth that stayed in the family, and a gene pool that proved not infrequently to be, over the long run, the fundamental cause of a characteristic commonly referred to as weak in the head. Royalty. Landed gentry. Upper crust society. Beautiful manners, gorgeous clothes, glorious homes, power, mobility. The stuff of fairy tales. Now that was class. Outsiders—the poor, the struggling, the serfs and slaves, the farm workers, soldiers, sailors, tinkers and tailors—all either accepted their place or felt, and were, powerless to change it. Oh, and let's not forget independent-minded women and anybody who wasn't white, with the exception of those few notables who heroically managed to penetrate a ceiling made from the building materials fortresses were constructed with. But something happened in the collective psyche of the outsiders. A lust for a bigger experience, a bigger slice of the pie. Might have had something to do with the fact that it had a sturdier gene pool, a broader mix. Something about that seems to open neurological pathways to creative thinking. Boom. The Industrial Revolution. Suddenly yobs with no manners, no refinement, and neither land nor lineage could amass fortunes and buy the trappings of class. Not independent spirited women, people of color or different lifestyle choices or foreign alien religions, though. Let's never forget that. Nouveau Riche. Spurned, of course by the Original Class of Classies, and using outsiders in exactly the same way they'd been used by their masters. Gradually these upstarts developed manners and accoutrements of Class and in many cases married into lineage, because its weak gene pool had left it with land and snobbery but no bucks. And a populace of poor people living—or barely living—off the land, giving everything of value of themselves to the Classies, became a populace of poor people still barely living, but doing it in the cities. Still giving everything of themselves, but now to the New Classies as slaves, servants, wives, factory workers. Also, for a while, collectively accepting that they had no option. It wasn't a pretty picture and the environment began to take a real beating too. Again, though, something happened in the collective psyche of those damn outsiders, the slaves to and enablers of others' pleasure and good fortune. Maybe it's really about the spirit of the human never being satisfied with being stuck in the dark ages. Perhaps it's about the human capacity for good needing to prevail over its capacity for evil. The outsiders became more aware that moving up was a possibility even for them. Boom. Unions. Higher wages, access to more ideas, demanding education, finding it, getting it. Well, what a damn mess. From then on it was one boom after another, the cataclysmic collapse of the old order happening from decade to decade. The original Classies' gene pool completely buggered up. The concept of "What About Me, What About Them!" spreading like wildfire. Youth, women, people of color, diverse religions and lifestyle choices making their voices heard, fighting for their rights and those of others, not waiting for permission but insisting that they were equal, caring about accountability and the environment. Never giving up in the face of dreadful persecution in every imaginable application, covert and overt. Desire for decency to prevail became a conflagration impossible to control. As the lust for a better experience seared at hearts, souls and minds; as compassion for the exploited, and protest at the exploiters grew; as wealth and access to information became more accessible to so many more; something else happened. Classy began to be synonymous with decency, inner strength, dignity, compassion and respect for others and self, good sense, concern for the environment. Nowhere else for it to go, really. Boom. 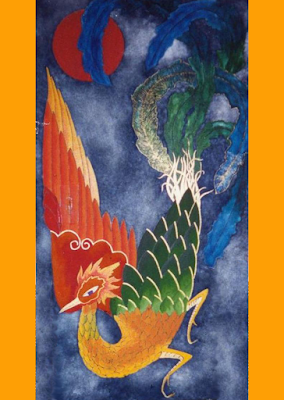 The Phoenix of the human spirit emerging from the ashes. That's where we are today. Class is not about what you wear, what you earn, what you own, your status, the color of your skin, your gender, your religion or your lifestyle choice. It's about who you are. Just as the outsiders always thought they were as classy as those they were desperate to be accepted by when the barriers to entry were superficial, today the ethically challenged who have amassed vast fortunes and or power swagger around with great braggadocio, loudly trumpeting how classy they are. Utterly oblivious to how obvious it is to the rest of us that whatever they've got, it ain't class. These days, no matter what else you have, without class of the soul, the kind that actually counts for something humane, you've got nothing. And it shows. When Dr. Christine Blasey Ford's anonymous accusations of sexual abuse by Brett Kavanaugh in the 1980s were first revealed, Republicans, so sure of their power, were slow to realize the danger their candidate for the Supreme Court was in. Denials, support for Kavanaugh, dismissals of Ford, flooded the media. Republicans insisted that the Committee vote would happen as scheduled. It seemed that their strategy to ram this nominee into the Supreme Court would work. But in a time when news cycles spin at the speed of light, this story was no different. Within days Dr. Ford had gone public. The majority of Republicans stood by their man, but a couple realized the danger they were in come re-election time and backed down enough to call for a delay to the vote. Given the GOP's slim majority in the Senate, it was enough. Both parties were invited to testify before the Senate Judiciary Committee, but only under very restrictive terms. No FBI or Senate investigation into the allegations, and no corroborating or character witnesses. Mr. Kavanaugh was fine with that, but Dr. Ford wasn't. She said she would testify if the FBI reopened their investigation into Kavanaugh's background, specifically to investigate her allegations. They could, but not without White House approval, which was withheld, under the pretext "the FBI doesn't do that". Which isn't true. They do. It's their job. And they have done it, in exactly the same circumstances, when Anita Hill accused Supreme Court nominee Clarence Thomas of sexual harassment. Fully aware of the falsity of the president's assertion, nonetheless Republicans vetoed the investigation, saying they were willing to give Dr. Ford a chance to speak, but that if she didn't want it, the Committee vote would go ahead. As if she were some kind of sulky schoolgirl who had been offered cake but didn't want it. Her loss, then. In a feeble attempt to justify their lack of interest in getting to the truth, and to placate those of their constituents who find Dr. Ford's allegations credible, mutterings were made about "mistaken identity". It was so long ago, Dr. Ford could easily have forgotten who really abused her. That theory was debunked instantly by a number of credible sources. NYT columnist Charles Blow addressed the issue when he spoke frankly on CNN about his experience with abuse. Enter Ed Whelan, friend and slavish fan of Judge Kavanaugh, and, ironically given his behavior in the last few days, president of the conservative think tank the Ethics and Public Policy Center. Assisted by a prominent Virginia PR firm, CRC Public Relations, Whelan produced "evidence" that Dr. Ford's abuser was a high school classmate of Kavanaugh's, namely a photograph showing how allegedly similar the two friends looked (they don't), and floor plans of the house Whelan identified as the location of the abuse. He included the name of the new suspect. Dr. Ford rejected the claim immediately and it was exposed as pure fabrication. Tail between his legs, Wheelan retracted his allegations, and apologized obsequiously. Too little too late for the innocent man. Republicans, originally excited by Whelan's story, now distanced themselves from him as fast as they could. Then news broke that Garrett Ventry, who was on a leave of absence from CRC to work help lead the Senate Judiciary's response to Dr. Ford's allegations against Mr. Kavanaugh, was himself fired from a previous job in part because of an allegation of sexual misconduct. Take a moment to think about that. Both Whelan and Ventry have been hustled off stage. With three simple tweets, former President Barack Obama gave Americans across the spectrum, and people around the world, what they longed for in the face of the Charlottesville tragedy: wisdom, sanity, compassion, leadership. It's been distressing to watch how the current administration has laid siege to everything that the best of America stands for and all the progress made by Barack and Michelle Obama and Obama's administration. When this couple were in the White House it was a place of knowledge, experience, respect, dignity, wisdom, inclusion, joy, exuberance, celebration of life and of people from every walk of life. The shock of the election result wore off quickly, leaving grief, outrage and determination to preserve values without which no society can exist for long without imploding. The resistance, from Democratic politicians, citizens, academia and the liberal media, has been valiant and successful. But the constant deluge of scandals, back-biting, lies—scum of the earth stuff—has been exhausting to witness. It's hard to resist the idea that social progress in the US is being swamped and that everything the Obamas worked towards, every battle fought and won over the years for Civil Rights, equality and justice has been lost. But the truth is that in the battle between Good and evil, so well illustrated by Charlottesville, and Donald Trump equating white supremacists and Nazi supporters to counter-protesters, Good has triumphed as Republicans, Democrats and world leaders condemned the president's support of what has been recognized as evil for a long time now. Nobody but Mr. Trump believes these people have a place at the table. Nobody but Mike Pence has stood with Trump. Good can seem fragile in this battle, when overshadowed by monstrous forces, but in truth it has roots sinking deep into the human psyche, into societies. And that gives it, ultimately, much greater power. America's social progress hasn't ever been a smooth journey. But it's been a real one with real successes. They, and the achievements of Barack Obama and his administration have been assailed, but not dismantled in a way that can't be fixed, even though the government is entirely GOP-controlled. Republicans are at war with each other and their constituents, and the 2018 mid-terms loom. The Trump administration has bully power but nothing else and it is disintegrating at the speed of light, as is the president, by all accounts. Out of control, still obsessed with his campaign, he's been firing people at random when they get more attention than him or displease him, creating such havoc that nobody wants to work for him. Now he's fired Steve Bannon, who has gone back to Breitbart News, thrilled at the prospect of war with the administration. Or so he says, as reported by The New York Post. The president's support base is reportedly shrinking, but former president Barack Obama's tweets about Charlottesville broke the record for the most Twitter likes. That's a pretty direct poll. And he's not getting any press coverage these days. There's power in the man, the kind that lasts because it has love and integrity as a foundation; it's the kind that rewards and builds. In this existential battle in America—one that all of us can relate to in some way or another in our lives—Good has trodden and is still treading a steady path towards victory. It will come and then we'll see that social progress is not destructible by evil. Judge Kavanaugh. Chief Justice John Roberts has recognized that, quote, "the judicial branch is not immune" end quote, from the widespread problem of sexual harassment and assault and has taken steps to address this issue. As part of my responsibility as a member of this committee to ensure the fitness of nominees for a lifetime appointment to the federal bench, I ask each nominee two questions. First question for you: since you became a legal adult have you ever made unwanted requests for sexual favors or committed any verbal or physical harassment or assault of a sexual nature? 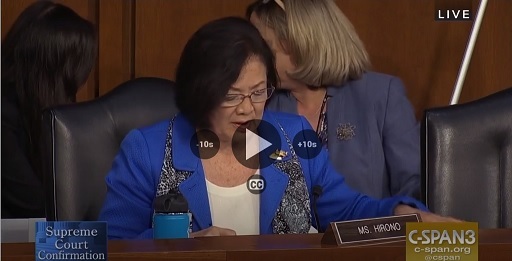 Senator Maisie Hirono, D-Hawaii, asked this of Supreme Court nominee Brett Kavanaugh at his confirmation hearing on Sept. 5 2018. Judge Kavanaugh answered without hesitation. "No," he said. A week later, news broke of an accusation that he sexually assaulted a girl when they were both at school in the 1980s. The accuser had reported the incident via a tip-line in early July, asking that her identity be kept secret. The complaint had made its way to Senator Feinstein, who honored that request. Somehow, unbeknownst to the Senator, the story was leaked, although initially the accuser's identity was still unknown. Kavanaugh denied the accusations hotly. But in twelve days what started out as a flicker of a problem for him and those who want him confirmed erupted into a firestorm, driven by what is now the considerable heft of #MeToo. Dr. Christine Blasey Ford, a professor at Palo Alto University who teaches clinical psychology to graduates in a consortium with Standford University, decided to come out publicly with her accusation, in an explosive interview with the Washington Post. She alleged that 17 year-old Brett Kavanaugh and a friend of his, Mark Judge, both highly intoxicated, corralled her into a bedroom at a party, locked the door and turned up the music. Kavanaugh then pinned her down and tried to strip her and force himself on her, covering her mouth to prevent her from screaming or calling for help. Ford was 15 years old and feared that Kavanaugh might inadvertently kill her. She alleged that Judge kept calling out, first saying "go for it" then "stop". She managed to escape, and tried, unsuccessfully to bury the trauma, until 2012, when she revealed what had happened, in therapy sessions. Mr. Kavanaugh again denied the allegations, saying he had never met Dr. Ford, and was willing to testify before the Senate Judiciary Committee in defense of his integrity. Unfortunately for him, Dr. Blasey Ford also said she would testify. Adding weight to her credibility is that in August, at the suggestion of her lawyer Debra Katz, she took and passed a polygraph, administered by an FBI official. For a few days Senate Republicans doggedly stood by their man and insisted that the confirmation vote on Thursday would go through. Even the two moderate Republican Senators Susan Collins and Lisa Murkowski were tight lipped, despite huge pressure having already been brought to bear on them from their female constituents to reject Mr. Kavanaugh. A crowdsourcing campaign set up by some Maine voters vowing to support Senator Collins' opponent in 2020 if she votes for Mr. Kavanaugh, has raised over $1.3m. Senator Murkowski has repeatedly been reminded of her tweet calling for Sen. Al Franken's resignation for a far less severe allegation. We’re seeing a culture of harassment & assault being exposed on a daily basis. Whether you are in the media, politics, or anywhere else abuse of power is unacceptable & shouldn’t be tolerated at any place at any level. Sen. Franken must know that & that’s why he must step down. Senator Murkowski hasn't felt the same about Mr. Kavanaugh. It seemed frustratingly clear that he and those who desperately want him in the Supreme Court were banking on the "who cares?" precedent set by the response to Anita Hill's accusations against then Judge Clarence Thomas. Who is now an Associate Justice. A lot of people believed Ms. Hill's version of events and cared deeply, but they didn't have enough power to halt that confirmation. Much has changed since then. This confirmation is taking place in the midst of a #MeToo revolution, and the court of public opinion has developed real political power, making it impossible to sweep sexual misdeeds under the carpet, no matter how long ago they occurred. Yesterday, Republican Senators Flake and Cornyn said they would not be comfortable voting for Mr. Kavanaugh until this issue has been cleared up, and Sens. Collins and Murkowski said they wanted to hear both sides. Even Kellyanne Conway said that Dr. Ford should not be ignored, after Donald Trump Jr. mocked Dr. Ford in a tweet. It marked a turning point. Today news broke that the vote scheduled for Thursday has been postponed and that both Mr. Kavanaugh and Dr. Blasey Ford will testify on Monday. It's a major triumph for every woman who's ever been assaulted. A triumph for justice and for functional democracy which requires that politicians listen to their constituents and truly represent their interests. In his testimony Judge Kavanaugh can categorically deny that he assaulted Dr. Ford, and it will be his word against hers. That she's taken a polygraph of her own volition speaks volumes. Will Kavanaugh do the same? She's a credible person and over 200 women who know her have attested to her character. Kavanaugh, however, has very recently and provably distanced himself from the truth in the hearings. 93% of his record was withheld for the confirmation hearings. His main witness to the alleged assault, Mark Judge, was by his own account an alcoholic at the time and often blind drunk. And of the 65 women who Republicans garnered to swear to Kavanaugh's character, before Blasey Ford went public, 7 have now reiterated their support, but 5 have declined to comment and dozens of others either declined to comment or could not be reached, according to Politico. Whether Mr. Kavanaugh takes a polygraph or not, can he legitimately deny that he went through a period at a very permissive school when he drank a lot? He may want to be careful about categorical denials here, because there would have been plenty of witnesses. Once that cat is definitively out the bag, Mr. Kavanaugh's denial about the assault will be meaningless. He might believe he didn't assault Dr. Ford purely because he can't remember the night in question. The forthcoming testimony isn't a court of law, but already, judging by the backtracking coming from Republican Senators, circumstantial evidence is piling up to the point of being impossible to ignore. And how many times have men guilty of assault, from Catholic priests to Hollywood celebrities to the current US President, claimed their innocence? As the NYT editorial board noted, Mr. Kavanaugh has a questionable relationship with the truth. He got away with obfuscating it many times in the hearings because so much of his CV was withheld and because even when it was obvious that he was lying, Republicans didn't care. But it's doubtful that he can lie his way out of this one. Not because Republicans suddenly care about the truth, but because of the heft of #MeToo. Democracy in action. Bravo to Dr. Christine Blasey Ford. May she be well protected. At John McCain's funeral service the tributes were moving and inspiring and as truthful and unpretentious as the man who was shot down, badly injured and captured by North Vietnamese, and was a prisoner of war for 5 years, enduring torture and refusing early release out of solidarity with fellow prisoners. Who, on his return, entered politics and served as a Representative and then Senator for 36 years. But the most moving of all was Meghan McCain's eulogy to her father who she loved so deeply. She didn't hold her tears back but spoke fiercely and passionately and with the most wonderful articulacy. She unequivocally rebuked and condemned the current president and his behavior without naming him. Everybody who spoke did that today, including 95 year old Henry Kissinger. As John McCain undoubtedly knew they would. Barack Obama and George Bush spoke their truths about their personal and political relationships with him. They used the platform to promote unity and the ideals McCain believed in that they share. There was plenty of wry humor, but they both always brought it back to the most important thing about McCain - that he believed in equality and never treated a person differently on account of their religion, race or gender. That he spoke his truth to authority without fear. The entire ceremony was transfixing. The tremendous respect was foremost and the grief was palpable. 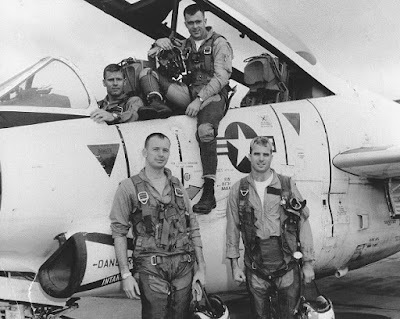 Rest in Peace Senator McCain. You did good, choreographing this service the way you did. Bringing people together. This was a sobering and wonderful moment in American history. "One of the biggest challenges we have to our democracy is the degree to which we don't share a common baseline of facts." President Barack Obama on David Letterman's My Next Guest Needs No Introduction. Aristotle would have agreed with Obama. In his treatise on politics he wrote, "On questions of equality and justice, even though it is very difficult to discover the truth about them, nevertheless it is easier to hit upon it than to persuade people that have the power to get an advantage to agree to it; equality and justice are always sought by the weaker party, but those that have the upper hand pay no attention to them." He would have enjoyed meeting Obama, the exception to prove the rule, but would probably have shrugged his shoulders at the current US president and said, "You see?" However, he might have been unpleasantly surprised at just how much more difficult it is now for civilians to hit upon the truth about anything, let alone what concerns equality and justice, despite our unfettered access to this hallmark of the 21st century, information. We've been totally enamored of and seduced by it, blindly believing in general that the accumulation of it equates to wisdom, and that in the political arena, where the controls lie for developing, protecting and promoting social equality and justice, the more information we have about candidates and the consequences of their behavior, the better our voting choices can be. But if that were true, given that there's a glut of information now, the world would be barreling along in peace, prosperity and national and international harmony. There would be no poverty, great divides in income or discrimination of any kind. Equality and justice would reign supreme. Instead, established dictators are still getting away with murder and being congratulated by world leaders for corrupted elections. Leaders with ambition to be dictators are entrenching themselves in power, and vast swathes of super-malleable citizens are being tossed and tumbled about helplessly in tsunamis of terror at the prospect of losing forever a status quo that was never honestly earned and always gained at the expense of somebody or other. Stolen. The primary tenets of democracy, once so easily identifiable, seem to be losing their definition and potency, wasting away like the muscles of a cancer victim, leaving a skeleton. A lifeless, pitiful, vestigial thing. Equality, freedom, justice; societies that operate on an understanding that the best interests for all must be enshrined—that's what we think our western democracies protect. But democracy simply gives power to whoever garners the most votes. If the voting system is skewed to provide better voting opportunity to supporters of a corrupt and unqualified candidate, or lies are spread about that candidate's opponent, no matter how well qualified they are, and those who know the truth don't fight hard enough, democracy will prevail, but the democratically elected leader will be destructive for all. We'll be in the realm of dictatorships, whether or not we see that we've actually chosen it by default, by not holding our politicians to account, but mostly by not holding ourselves to account and taking responsibility for the information we soak up and share and act upon. The nightmare won't end until we get it, that information isn't necessarily truth, and until truth is re-established and the majority of the electorate want it and are capable of discerning it. “If we are not serious about facts and what’s true and what’s not, and particularly in an age of social media when so many people are getting their information in sound bites and off their phones, if we can’t discriminate between serious arguments and propaganda, then we have problems.” Barack Obama, on Nov 17 2016 in Berlin. There's no escaping it; the problems he warned us of have burgeoned. The truth is that we turned our eyes away from the reality that the platform for the free flow of information has been a tool that's enabled the worst in us. Using the platform, we've actively facilitated bombardment of misinformation and have ourselves become a tool for blurring the line between truth and lies so much that many can't tell the difference any more. Caught by thine own springe. Brexit and the 2016 US elections woke us up to a living nightmare. Digital technologies, which we've practically made a god of, were used, primarily by Russia, to seduce citizens into thwarting the purpose of democracy, which is to create a system that protects and nurtures the best in humanity. So now our democracies in the West are being torn apart and the doors are open wide for an autocrat with malintent, either actively pursuing destruction, or hell-bent on it by virtue of being narcissistic, intellectually challenged, over-entitled and enabled, dysfunctional, overridden by prejudice and fear, and totally out of control. It's dismaying to see how easily misinformation wormed its way into the West through technologies that have been so helpful in every other way. Terrifying to see how easily so many were conned. We watch footage of North Korea and can see how brainwashed the citizens are. It's obscene; we're quick to cry foul, can't they see how they're being manipulated? We proudly believe that in the West we have much more control over our minds. Yet a slim majority in the UK voted to leave the EU on the strength of promises made that nobody ever had any intention of fulfilling. Across the Atlantic, America voted in an incompetent bigot and the world has been gasping in horror daily for almost a year and a quarter at every new presidential assault on the values that sustain healthy societies and international relationships. For now, it looks as if the line between truth and misinformation has been irrevocably blurred for millions and that bigotry, racism, sexism, persecution, are on the ascendancy, especially in the world's allegedly strongest democracy. It's been virtually brought to its knees by a president who, on the campaign, promoted misinformation, exploited race-based fear and fabricated a 'reality' of carnage within and massive international threat from without. His actions in the White House have savaged the rights and safety of minorities, undermined the strong social fabric and economy established by Barack Obama and his Administration, reset the climate change dial onto fast forward, disrupted the international culture of diplomacy reintroduced by Obama. He has antagonized former allies and jeopardized world trade and world stability. In the UK, the fallacy of Brexiteers' promise of freedom from pestilential immigrants and greater economic strength and power in independence from that poncy EU has been exposed, as reality plays out. The Guardian has tracked 11 promises made that have been broken. And the government is led by a woman who was a Remainer. The Prime Minister, when asked on camera whether Brexit will have been worth the price paid, like young George Washington, couldn't tell the lie. She appears to have taken seriously her role, seeing it as her responsibility to lead the government to do the will of the people, but it's an impossible task. What the very slender majority wanted isn't achievable. And, as that's becoming increasingly apparent, calls for another referendum are gaining momentum. For all we know, the majority might not want Brexit at all any more. As for the US, the president won with a minority vote. So who are the US and British governments serving? Not the will of the people in the way we understand it. The will of the fearful minority, the prejudiced, the misinformed and misled, i.e. the far right, which feeds off untruth and which has gained power in other countries, perhaps encouraged by the UK and the US: France, Germany, Italy, Hungary, the Netherlands, Scandinavia, Poland, Austria. Highly exploitable themselves, the far right has used the tools used against them, primarily by Russian operatives, to exploit the fear and economic need of their friends and neighbors. In the US, still for now the most powerful country in the world, far right Republicans have jumped on that bandwagon, and organizations like the NRA have had their field day exploiting it all. It's a hall of distorting mirrors in a tunnel of horrors. Digital technologies. They've sped up the flow of information, which works for good and bad. But they've also made the consequences of whatever choices we make that much more imminent. Ironically, that could be our saving grace. We can't hide for very long from our own mistakes as citizens any more. We have to think about and question what we read, watch, write, say, create, because when we irresponsibly pursue and share salacious misinformation we con ourselves and others, and add another signature to the death warrant of our democracies, paving the way for dictators. We sow discord and reap the nightmare harvest very quickly, laying waste to the social fabric of our world and leaving it in chaos for our children to clean up the mess. Far better to get to work now to clean up our own mess, take responsibility for our actions and our minds. Seek out truth, spurn and expose misinformation. Vote in droves for politicians who do the same. It's achievable. We can do it. Yes we can. On Tuesday the world watched in sheer abhorrence as the US president, speaking at length for himself and without a teleprompter, unequivocally laid equal blame on the protests against racism and bigotry—which he called the alt-left—and the KKK, white supremacists and Nazi supporters gathered in Charlottesville. In the largest gathering in decades, and as if the Civil Rights Era had never happened, white supremacists descended at night on the University town of Charlottesville, Virginia with burning torches, confederate flags, nazi symbols and rifles, chanting "You will not replace us / Jews will not replace us". They surrounded a small group of non-violent counter protestors gathered at the statue of Thomas Jefferson. Shock and horror rippled throughout the country and beyond its borders. “I cannot believe in my heart what I am witnessing today in America. I wanted to think not only as an elected official, but as a human being that we had made more progress. It troubles me a great deal.” Rep. John Lewis. But not, apparently, in the White House, which was mute. The next day, white supremacists, itching for a fight, attacked those protesting against them in ugly violence which culminated in a Nazi supporter gunning his car into a peaceful gathering of protestors, injuring 19 and killing Heather Heyer, a courageous young woman who had dedicated her life to fighting bigotry and hate. Donald Trump, the man who can't control his Twitter compulsion, waited until late in the day to even comment. His repugnant refusal to name and shame the KKK, Nazi supporters and white supremacists drew immediate bi-partisan fire, Democrats not afraid to directly criticize the president. Some Republicans joined them. The next day, in a strangely surreal mini-speech, Trump, newly coiffed and made up, did as he had obviously been told to. He read clumsily from a teleprompter words that had been patently written by somebody else. Words that he was very uncomfortable with. Anybody who was fooled hasn't been paying attention for a very long time. Those of us who have, weren't surprised when he broke out and said what he really wanted to say on Tuesday at a "press conference" that was mean to be about infrastructure. It didn't take Trump long to dump the script and lash out at length at the counter protesters, calling them the alt-left, blaming them for their violence and for attacking the white supremacists and fascists, giving them an unequivocal boost. 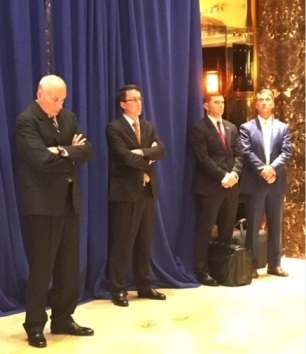 General Kelly stood behind Trump, severely troubled. Did he really think he could control this terrible excuse for a man? Kudos to him for being bothered, but he should have been severely horrified long ago, enough to refuse the job and publicly condemn Trump and his administration. Other Republicans also reacted immediately, except for Mike Pence of course, who praised Trump for meaning what he says and saying what he means. Hard to understand the logic of that, given his teleprompted little speech the previous day. There is only one way for Republicans to illustrate that they have any integrity at all. Unequivocally condemn Trump, get rid of him, and clean out his administration. Any Republican who doesn't do that? Their words of protest now are meaningless. America has a white supremacist supporter, a bigot, a serial sexual abuser, a snake oil salesman, a liar, a cheat and a very stupid man with severe personality disorders for a president, and too many Republicans have been fine with it. They may criticize him but they don't care enough to protect their country from him. And that's the truth. Fortunately, the majority of America do care. Even Trump's base is dwindling. Ultimately all he'll be left with will be the KKK, neo-nazis and white supremacists. The toxic dregs of American society. Democrats care a great deal. They have lashed out at Trump in no uncertain terms. Stalwart of integrity, Civil Rights pioneer and icon Congressman John Lewis, who has courageously and unerringly devoted his life to defending Civil Rights and said in January that he didn't consider Trump to be a legitimate president, spoke out at a town hall meeting in East Point Georgia. "It troubles me a great deal… Speak up, speak out, get in the way, get in trouble - good trouble and necessary trouble. We have to tell our people to get out and participate in the democratic process." And while all of this is going on, the Russia investigation is ramping up. To date, analysts have had little faith in the likelihood of impeachment, which would need a Republican Congress to act. Recently, as Trump has gotten more and more out of control, more Republicans are either speaking out clearly against him, or drifting away. Suddenly, impeachment is starting to look like a real option, because if the GOP lets Trump stay he'll take them all down with him. It's been obvious from the start but they haven't wanted to face it. It's becoming harder and harder to ignore. America will be rid of this scourge. The world will breathe a sigh of relief. Until he goes, a Washington Post editorial says it all. The nation can only weep. "There are no mixed messages… There are no mixed messages… North Korea best not make any more threats to the United States. They will be met with fire and fury like the world has never seen." Apart from Hiroshima and Nagasaki. Lest we forget. Relishing the idea of killing and maiming hundreds of people in the cruelest way imaginable, the US president continues to recklessly up his rhetoric, poking his middle finger in the eye of a sociopath. Because it makes him look strong. In his own eyes. In those of most Americans and the rest of the world? Not so much. The administration reiterates ad nauseam that there are no mixed messages, but of course it's just another alternative fact to add to the Trump Administration Collection. Rex Tillerson has oxymoronically tried to perform the magic trick of toning down the inflammatory rhetoric, while also rationalizing it. Defense Secretary Jim Mattis has spoken with solemnity, pointing out that nobody needs to be reminded of the terrible damage done by nuclear war. Nobody but the US president. And neither of them are telling him to zip it. Nor is General Kelly. Apparently that's not his job. Senator Lindsay Graham is enabling Trump, as is Nikki Haley and any number of other Republicans who cling to power, no matter the cost to any number of human beings on earth. Including Guam residents, who could be the first Americans to go. "Tourism, I can tell you this — tourism, you're going to go up like 10-fold with the expenditure of no money so I congratulate you… We are with you 1,000 per cent, you are safe…You've become extremely famous. All over the world they are talking about Guam, and they are talking about you." Calvo's response was that he felt 100% safe with Trump as president. The mind boggles. Fortunately, some sanity prevails in Guam, whose Homeland Security Agency put out advice for residents in the event of an "imminent missile threat". Residents should create emergency supply kits, have an emergency plan, and make a list of concrete shelters close by, especially ones underground. When an attack warning is sounded they mustn't look at the flash or fireball because it can blind, and they must run for cover. However, "Fallout radiation loses its intensity fairly rapidly. In time you will be able to leave a fallout shelter." The Homeland Security website also has a link to an American Red Cross guide on how to shelter-in-place if there's a chemical or radiation attack. If Kim Jong-un launches missiles, the US has to hope that its missile detection and destruction facility works. Wolf Blitzer spoke to a military analyst who said it's been tested but never tried. It would take 14 minutes for a N. Korean ICBM to reach Guam, but the decision to destroy it or not has to happen immediately the launch has been detected. The US literally has a couple of minutes to make a decision to destroy the missile or let it continue, judging that it will land in the ocean and isn't dangerous. If they get it wrong; if the missile doesn't have a miniaturized nuclear warhead and would have landed in the sea but the US destroys it, preferring to err on the side of caution, Kim Jong-un has justification in his own mind for a real attack. And the US president, a man with the personality disorder, has his finger on the red button. But, sure, Donald Trump, show the world how powerful America is. That's real manhood. Real strength of character. Hiroshima and Nagasaki Revisited as Trump Provokes N. Korea's Kim Jong-un? Copyright 2012 Jennifer Stewart. Awesome Inc. theme. Powered by Blogger.